Samsung CLX-8640ND 40ppm Color Multifunction Copy Print Scan Fax is essential to achieve maximum uptime while delivering outstanding quality. Samsung's award-winning 40 ppm color multifunction printer provides the performance businesses need to realize an efficient output of documents and streamlined workflow. All while producing vibrant, high-quality color printouts with unique rendering technology. 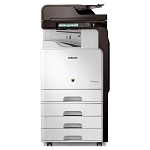 Samsung CLX-8650ND 51ppm Color Multifunction Copy Print Scan Fax is essential to achieve maximum uptime while delivering outstanding quality. Samsung's award-winning 51 ppm color multifunction printer provides the performance businesses need to realize an efficient output of documents and streamlined workflow. All while producing vibrant, high-quality color printouts with unique rendering technology. Samsung XpressC1860FW 25ppm Color Multifunction Copy Print Scan Fax can boost the overall quality and vividness of your output with our unique ReCP (Rendering Engine for Clean Pages). It automatically adds dots along the edges of images and characters, meaning everything looks so much sharper and cleaner. What’s more, those white gaps between colored areas that are so common with other devices are eliminated. What you and your team are left with is an outstanding color output. Samsung XpressC460FW up to 19ppm Color Multifunction Copy Print Scan Fax offers the freedom of secure mobile printing with the inherent benefit of 4-in-1 functionality. Near Field Communication (NFC) technology enables wireless printing from a mobile device with a simple tap, while the one-touch WPS button provides smooth, secure use and the ECO button helps control costs. And the print quality is exceptional. 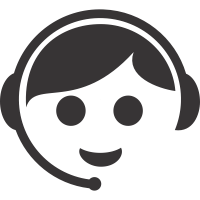 Samsung CLX-9251NA 25ppm Color Multifunction Copy Print Scan Fax is essential to achieve maximum uptime while delivering outstanding quality. Samsung's award-winning CLX-9201NA MultiXpress 20 ppm color multifunction printer provides the performance businesses need to realize an efficient output of documents and streamlined workflow. All while producing vibrant, high-quality color printouts with unique rendering technology. Samsung ProXpressM2070FW 21ppm Black White Multifunction Copy Print Scan Fax delivers brilliantly fast printing for every business. Near Field Communication (NFC) technology enables easy mobile printing, creating less work to accomplish priorities on the go. Less maintenance and less waste combined with 4-in-1 versatility means that users can get more done and contribute positively to their bottom line while streamlining workflow. Samsung XpressM2885FW 29ppm Black White Multifunction Copy Print Scan Fax delivers brilliantly fast printing for every business. Near Field Communication (NFC) technology enables easy mobile printing, creating less work to accomplish priorities on the go. Less maintenance and less waste combined with 4-in-1 versatility means that users can get more done and contribute positively to their bottom line while streamlining workflow. Samsung ProXpressM3370FD 35ppm Black White Multifunction Copy Print Scan Fax provides fast, professional quality with 4-in-1 functionality and lower operating costs all around. Delivering high performance and ease of use along with mobile printing capability, you can accelerate document and image processing for increased efficiency. Samsung ProXpressM3870FW 40ppm Black White Multifunction Copy Print Scan Fax provides fast, professional quality with 4-in-1 functionality and lower operating costs all around. Delivering high performance and ease of use along with mobile printing capability, you can accelerate document and image processing for increased efficiency. Samsung ProXpressM4070FR 40ppm Black White Multifunction Copy Print Scan Fax provides fast, professional quality with 4-in-1 functionality and lower operating costs all around. Delivering high performance and ease of use along with mobile printing capability, you can accelerate document and image processing for increased efficiency.